The first Championship event of the 2018 World Series of Poker has played down to a winner, and it's Paul Volpe that has claimed the bracelet in Event #9: $10,000 Omaha Hi-Lo 8 or Better Championship. 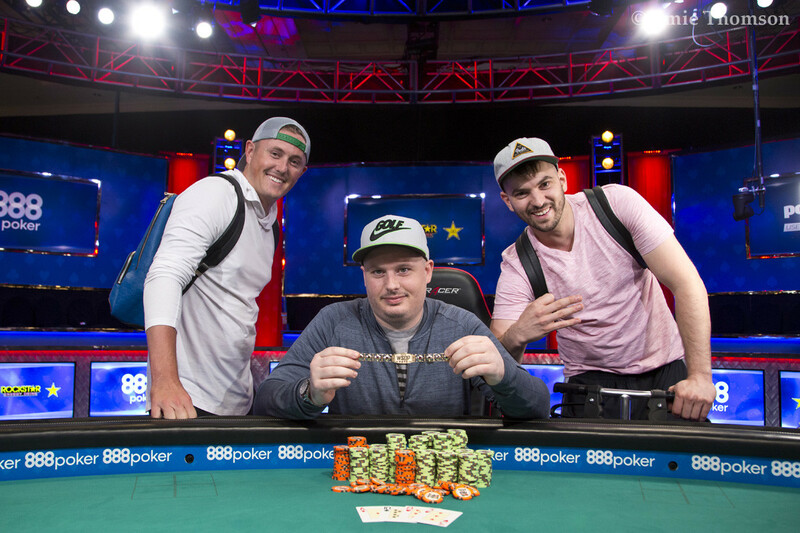 Volpe already had two WSOP bracelets to his name before the final table and overcame three-time WSOP bracelet winner Eli Elezra in heads-up to add another title to his already impressive poker resume. In the interview after his victory, Volpe confirmed Elezra's joke upon showdown in the final hand in which Elezra said: "He got it fair and square, he ran like god." "I think a lot of people with the same cards as me would have won the tournament." While the duo wasn't separated by a ton of chips going into heads-up, Volpe quickly pulled away. "I just ran like, really, really good, I think a lot of people with the same cards as me would have won the tournament," said Volpe. The strategy wasn't quite the same after the restart, and the chip lead traded several times. With four players left, all of the hopefuls were at the top of the counts at some point in time. "I was playing solid in the beginning. At Omaha, as there become fewer people, you know, you play more aggressive. Six-handed I was just trying to pick good hands, As we became shorter, that's when you try to open up and steal some pots if you can." It came as no surprise to see Volpe and Elezra go head to head for the title, especially after the departure of two-time WSOP bracelet winner Viacheslav Zhukov in fifth place. "I thought there was a good chance, me and Eli were the most experienced, we had the most chips or close to, there was a good chance of it being me and him." 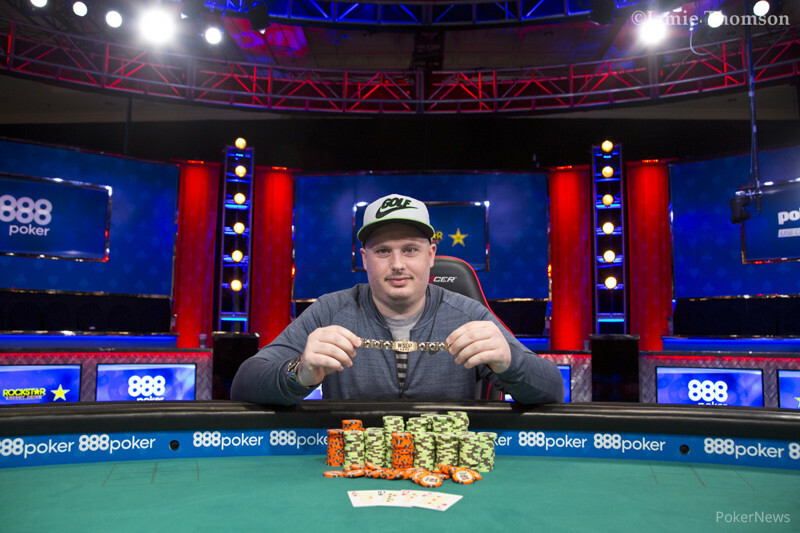 The third bracelet win boosts Volpe's WSOP cashes to just shy of $3 million, and he may very well go past that in the coming weeks. "It feels great; I am excited. Hopefully I'm I gonna win another one." However, the player of the year race may not necessarily be the top priority for Volpe: "I don't know, [I'll] just see how I feel. Play more tournaments, more $10ks; I will probably play a decent amount more." 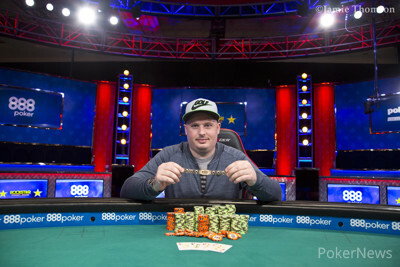 Adam Coats, who works as dealer at the Casino Caribbean in Kirkland, Washington, was supported by a large and loud rail and eventually finished third. Kyle Miaso, Viacheslav Zhukov and Dustin Dirksen rounded out the top six that returned to the PokerGO feature table at the Rio All-Suites Hotel & Casino. The first Championship Event of the 2018 WSOP drew a field of 169 entries to create a prize pool of $1,588,600 with the top 26 spots paid. The money bubble burst late on Day 2 with Daniel Ratigan the last person to leave empty-handed. Among those to bust before bagging and tagging on Day 2 were such big names as Dan Shak, Anthony Zinno, and Steven Wolansky. Eli Elezra held the chip lead by then already. Day 3 saw 22 players return to the tables to try and play down to the final six for the live-streamed final table. More big names were sent to the rail with Daniel Alaei, Nikolai Yakovenko, Chris Bjorin, Felipe Ramos, Mike Gorodinsky, Mike Matusow, Per Hildebrand, and Robert Mizrachi all heading for the pay-out desk. After nearly 26 levels of an hour each, the remaining six players bagged up and returned to the PokerGO Feature Table for an additional fourth day to determine a champion. Eli Elezra was in the lead, while Dustin Dirksen, at the bottom of the counts, only had three big bets to his name. Dirksen doubled once, then got it in with top two pair and an eight-low draw against the middle set and better low draw of Paul Volpe. There was no miracle on the turn or river, and Dirksen was eliminated in sixth place. Next to go was Viacheslav Zhukov who sent his remaining short stack over to Kyle Miaso. Zhukov flopped top pair only for Miaso to turn over bottom two pair. Again, the player at risk found no help on the turn, and river and that reduced the field to the final four. It then took as many hours for the next casualty to take place. Miaso had taken over the chip lead at one point, but a series of hands left him short-stacked not much later. On a ten-high flop, Miaso got it in with middle pair and an ace-six low draw, and he faced the top two pair of Elezra. Another seven on the turn improved Elezra to a full house and a six on the river counterfeit Miaso's low draw. 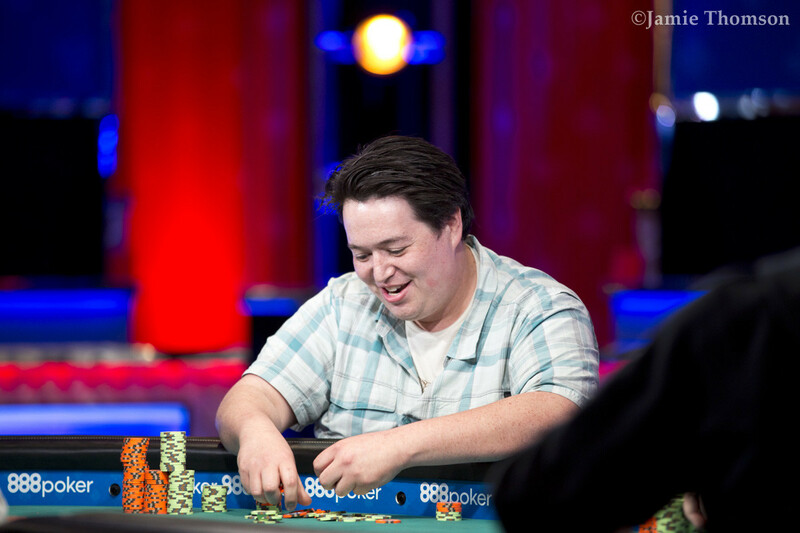 Adam Coats had the loudest rail of them all and a smile on his face for the entire duration of the final table. Eventually, Coats had to settle for third place when his pair of aces and straight draw on a jack-ten-ten was outdrawn by the inferior straight draw of Elezra. The heads-up started with a solid lead for Volpe who went on to establish a commanding lead and win almost every big pot in the one-versus-one duel. The final hand was no different as Volpe flopped the bottom end of the straight against Elezra's middle pair and gutshot. There was no upset on the turn and river and that crowned Volpe as the champion. This brings an end to the PokerNews live reporting for this event, but make to check out all the other ongoing WSOP bracelet events to find out who will engrave their name into poker history next. Eli Elezra limped in and Paul Volpe raised, Elezra called. The flop fell and Volpe bet, Elezra moved all in and Volpe quickly called. Volpe had flopped the bottom end of the straight while Elezra had a gutshot. "Alright, give me a ten," Elezra said and joked "he got it fair and square, he ran like god." 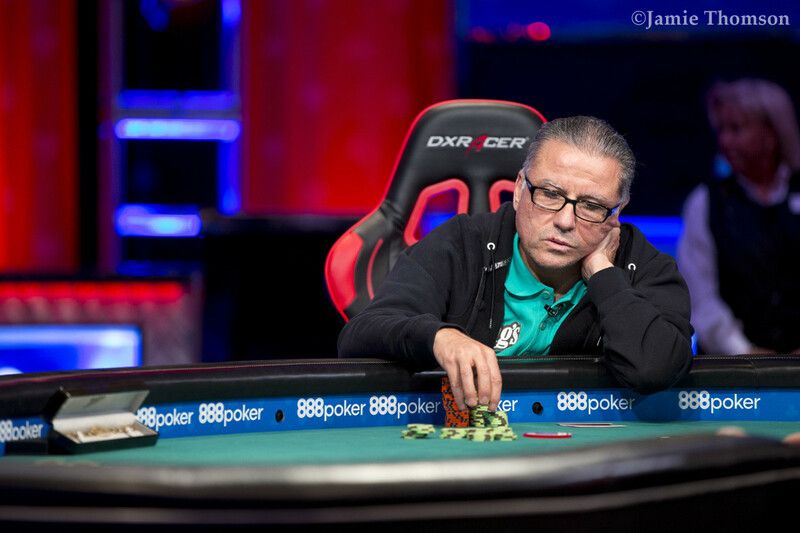 The turn and river were both blanks and Elezra was denied his fourth WSOP bracelet and has to settle for a payday of $258,297, while Volpe earned his third career bracelet. Eli Elezra was two times all in and at risk on the turn only to have a chop guaranteed. In the second hand, he called a raise by Paul Volpe and check-called a bet on the flop before betting the turn. Volpe raised and Elezra called all in with the for a flush. Volpe had for the low, making the river a formality. 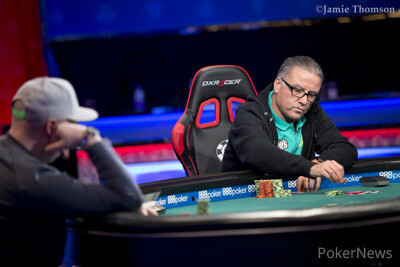 Eli Elezra raised and Paul Volpe three-bet, Elezra called. On the flop, Volpe bet and Elezra called. The appeared on the turn and Volpe's second bet forced a fold from Elezra. Elezra three-bet an open raise by Volpe and received a call. The flop was checked and Elezra checked the turn. Volpe bet and Elezra mucked his face up. Elezra limped and Volpe checked. Volpe checked the flop and folded to a bet by Elezra. Paul Volpe raised from the button and Eli Elezra called from the big blind. The flop came and Elezra checked. Volpe bet and Elezra called. The fell on the turn, Elezra checked, Volpe bet, Elezra folded, and Volpe took the chips. In the last hand of the previous level, Eli Elezra limped in and Paul Volpe checked. On the flop no betting action took place and the fell on the turn. Volpe bet and Elezra called. Volpe bet again on the river and Elezra called, but mucked when he was shown the . "I had you crushed on the flop," Elezra said and showed his . The first hand of the new level was chopped on a board of , Elezra had for deuces full, while Volpe claimed the low pot with an eighty-seven. Elezra limped and Volpe raised, Elezra called. The flop came and Volpe checked, Elezra bet and Volpe called. After the turn, Volpe checked once more and folded to a bet of Elezra. Kane Kalas knocked off back-to-back $10k Heads-Up Championship Runner-Up John Smith in the first round of this year's event. He tells us how he was able to gain the upper hand against an absolute legend. Paul Volpe limped from the button, Eli Elezra made it two bets from the big blind, and Volpe called. The fell on the river and Elezra bet. Volpe called, Elezra tabled for the nut flush, Volpe mucked, and Elezra took the pot.